The facility, which is now open for previews to the public, will open its doors on April 17. Other facilities include 280 shops, an 11-screen cinema, a giant slide, and two mazes (one made of hedges, the other mirrors). The Jewel Changi Airport is located near Singapore's Terminal 1 and it is connected to Terminals 2 and 3. There are also early check-in counters and kiosks, and a VIP lounge for travelers. The 40-metre high Rain Vortex, which is the world's tallest indoor waterfall, is seen from inside Jewel Changi Airport. Jewel also provides handsome scenery for visitors. It is surrounded by manicured grounds of the Shiseido Forest Valley. The belief is that the quality of an airport can sway travel decisions. 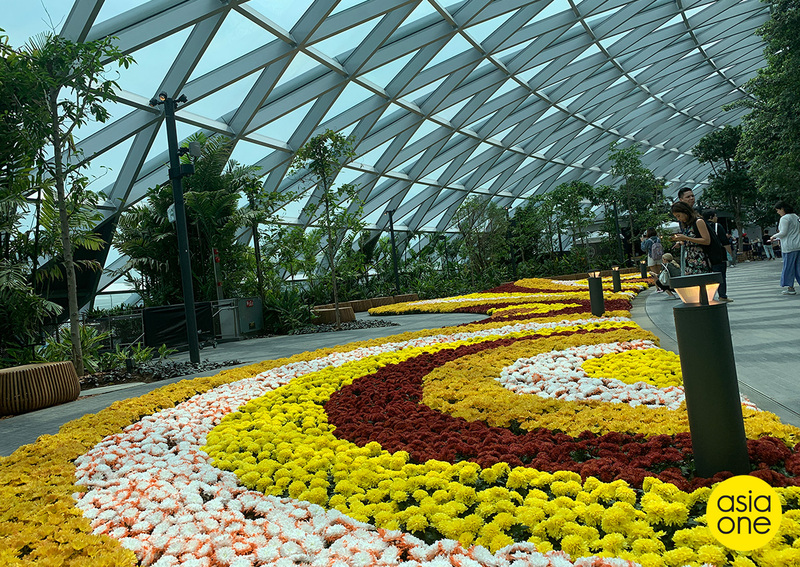 Play attractions such as the Manulife Sky-Nets, Hedge Maze, Mirror Maze and Discovery Slides were created to blend into the indoor garden environment and will open 10 June. It will be open from 1 p.m.to 10 p.m. only and throughout the preview days, it is expected that around 500,000 people will visit since they already signed up for free preview tickets.